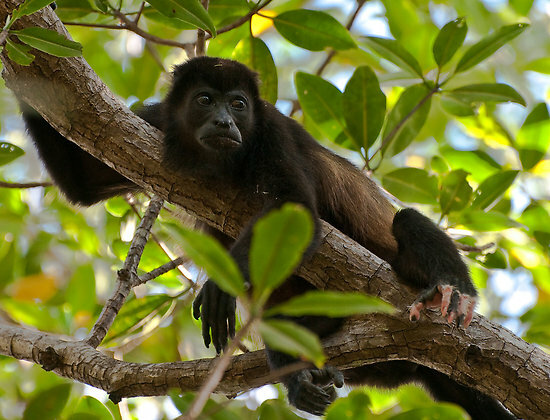 Animal Wildlife | Howler Monkey | There are 9 different species of howler monkey, found dispersed throughout the tropical jungles of South America. The howler monkey is one of the largest species of monkey found in South America with some howler monkeys growing to nearly a meter long. Despite their large size, howler monkeys weigh less than 10 kg which allows them to move with more agility through the high trees and lets the howler monkeys hang from branches by their tails when picking fruit. The howler monkey is thought to have to loudest call of all the primates in the world with some howler monkeys being able to project their howling voices for up to a few miles! 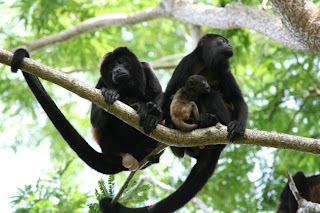 Howler monkeys move in troops of around 18 howler monkeys and spend most of their time sleeping and grooming each other. 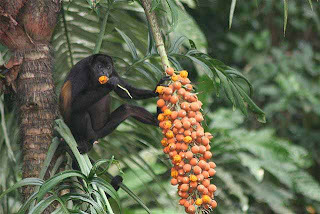 The howler monkey is said to be one of the least active monkeys as the howler monkeys spends 80% of its time resting! The howler monkey generally lives to around 20 years old however, due to loss of habitat, the howler monkeys are finding it more difficult to find the food that they need. 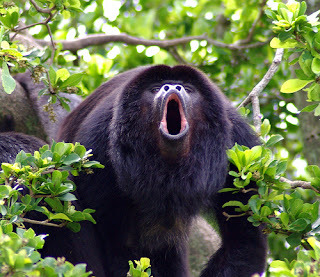 0 Response to "Howler Monkey"